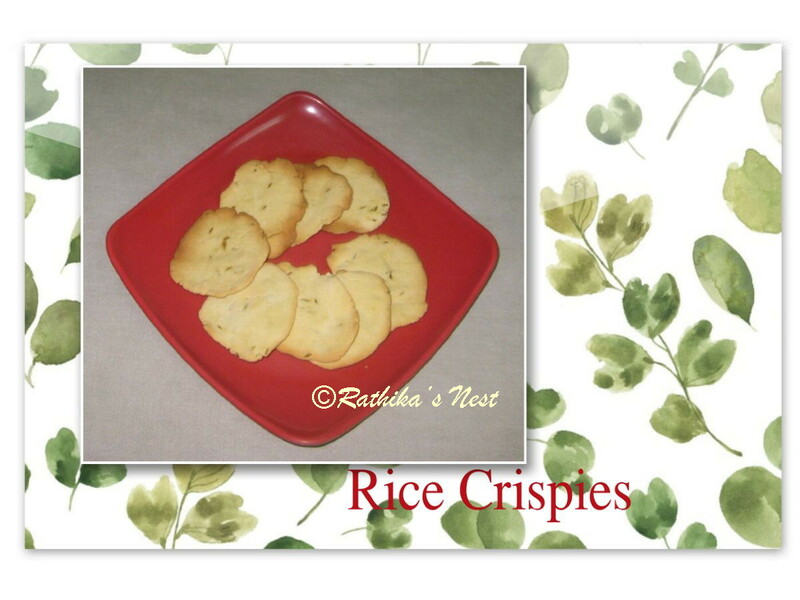 Rice crispy or Thattai (தட்டை) is one of the popular savories made in Tamil Nadu. Traditionally, it is deep fried in oil and served as an evening snack. I attempted making thattai with very little oil using the air fryer with satisfactory results. Air fryer recipes are my attempts at making low fat snacks and desserts, and this is one among them. Method: Powder roasted Bengal gram finely using a dry grinder. Transfer to a bowl. 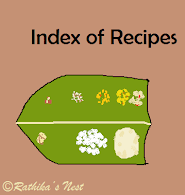 Add rice flour, baking soda, salt, cumin seeds and asafetida. Mix very well. Kneed in butter and add water as needed to make firm dough. Dive the dough into 8 equal parts and shape them into balls. Smear oil on the balls and flatten them into thin circles. Bake in the air fryer at 180ºC for 10 minutes. Turn over once in between. Cool the crispies to room temperature and store in an airtight container.